In 2017, the 25-year-old from Hawaii won his second straight World Surfing Championship, which went down to the wire at the Billabong Pipe Masters in December. He has been nominated for the Laureus World Action Sportsperson of the Year Award. Question: Congratulations. What does being nominated for a Laureus World Sports Award mean to you? John John Florence: When I look at the other athletes nominated, it’s humbling. It is an honour for me to be in the company of all these amazing athletes. Question: Does it make the Laureus Award more special that great surfers like Kelly Slater and Layne Beachley have also won Laureus Awards? 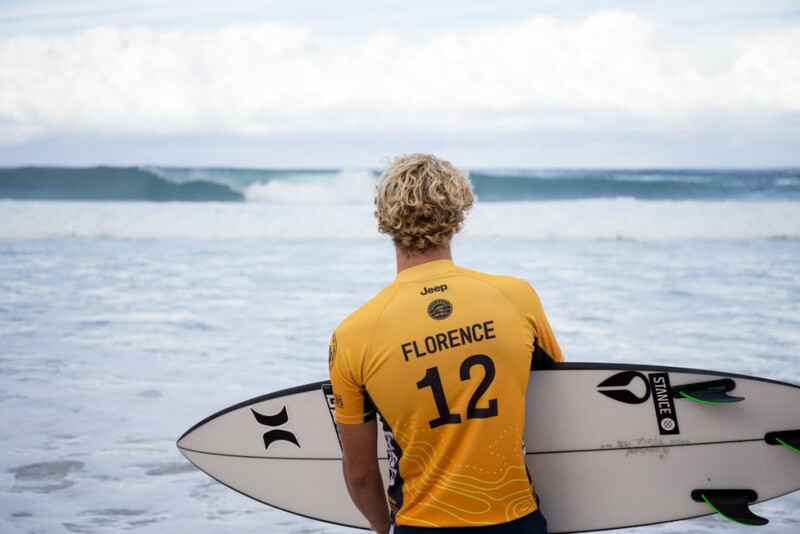 John John Florence: Yes definitely, looking at the list of everyone that has won makes this really special. Not only in Action Sports, but in all the categories. Question: It was a great finish to the year. You held off your rivals, like Gabriel Medina, Jordy Smith and Julian Wilson. What did you feel going in to the event? John John Florence: There was a lot of excitement last year, and it got pretty intense at times. I tried my best to focus on enjoying my days, and keeping the same mindset that helped me throughout the year. On the event days, you could feel the excitement. It definitely took a little more focus than normal to get in a good headspace for my heats. Question: Can you tell us what is your best memory from the final day in Hawaii? John John Florence: When I found out that I had won the world title. I came out to the yard and got to experience that with all of my friends and family. My Mom was right there, and I got to hug her first while my brothers and friends sprayed us with champagne. That was an incredible feeling. Question: Does winning a world title for a second time give you more confidence going in to the future? John John Florence: I think I’m learning that the process is the most important part. If I try to stay focused on learning and getting better, the confidence kind of goes along with that. Question: What are your goals / targets for the future? John John Florence: To keep enjoying the process more and more. Question: What do you think of the work that Laureus does to improve the lives of disadvantaged children through the use of sport? John John Florence: To me that’s what makes the Laureus Awards so special. I was really fortunate growing up to get support not only from my Mom, but from other people in our community, and people in the surf community all around the world. The fact that we get to support youth opportunity through this event is really cool. Question: Do you believe that successful sportsmen and women like yourself have a duty to give back to those less fortunate? John John Florence: I am not sure if it is a duty, but I would say it is a goal. It is something I would like to continue getting better at, and spending more time on.